Here is the list of the books I am most anticipating right now. If you would like to learn more, click on the picture of the book to go to Amazon. This post contains affiliate links. The first book was ridiculously cute, so I look forward to the sequel and seeing where it goes! The first one was a Cinderella type story, but with some interesting twists, so I am not sure if this one is going to follow another fairy tale or go off on it's own. I am sure whatever it does will be adorable though! I heartily enjoyed McCall's first book, so I am eagerly awaiting this one! I haven't read anything by this author, but it looks amazing with being about King Midas and his daughter! This series has been wonderful thus far! I love the idea of using a band of thieves to help with WWI assignments. So far, I have adored everything that I have read by this author, so I am eagerly awaiting this series! This is another series that I have really enjoyed, since it has quite a few characters to follow and is just a sweet, Regency style story. I'm not sure this one even has a title yet, but I am ready to read the next one! I get her newsletter and she mentioned some of the elements that will be in her next story. I CAN'T WAIT!!! Presumption and Partiality Review and Giveaway! I'm not sure what I was expecting with this book, but it was a delightful surprise! I love how it was the familiar story and yet had a different twist and view to it. I liked being able to see the story from different points of view and that it was set in the Depression era. This is a fun story to read whether you are a fan of Jane Austen's stories or not! I look forward to reading the other books in the series, since they look equally delightful. She Who Knows No Fear review and giveaway! Cassie's dream is about to come true. She's marrying her best friend, the love of her life. She will never be alone again. But when Zack fails to return from surfing, Cassie's safe world comes crashing down around her and she begins her struggle anew. Haunted by her conviction that her late grandmother left her something that will help her, Cassie discovers hidden "treasures" in the house she inherited. With the help of her stepmother, Cassie unlocks the secrets of her grandmother's journey and along the way finds the ultimate answer for her own life. My thoughts: I love the journey this book takes readers on into Yosemite in the roaring 20's! I fell in love with the characters, their personal battles, and the setting of the story. It was interesting to read about an artist on the brink of fame and a early park ranger. The story made me want to go on a road trip to Yosemite! I highly recommend this one for a Spring/Summer read! I received this book from Waterbrook in exchange for my honest review. This book is an excellent that came at the perfect time for me. I have been thinking more on how to encourage kindness in my children and I have come to the realization that it is something that I need to do a better job of modeling for them. So, I found the thoughts on "A Heart Transplant" especially insightful! The whole book is wonderful, with its grounding in scripture verses. I highly recommend it! My thoughts: This book was an interesting look into surrendering. I thought that Leeana had some wonderful thoughts on taking time to take of yourself and upkeep once you get rid of hurts. I also found she had some excellent thoughts on the things we use when we are in survival mode (I know I am guilty of that by picking up my phone and playing on it!). This is an excellent read that is easy to get through. It seems there is more to fear now than ever, but fear and anxiety are nothing new to human beings--or to God. The Bible calls us to not be afraid on many occasions, and of course we all want to live without fear. But just how is that accomplished when every news item seems designed to get us wringing our hands? My thoughts: This book is excellent! My family has recently been through several tough experiences that have caused me to face some of my fears head on. So, this book was exactly what I needed! Grounded firmly in scripture and seen through the lens of a woman who has had to face her greatest fears, this book is just incredible. The reminders to surrender fear to the Lord and fully live, since tomorrow is in His hands, were the reminders I needed to hear. I also really appreciated her thoughts on praying faith filled prayers and accepting the answer, even if it isn't the one we would of hoped for. I highly recommend this book! My thoughts: This was a fun book to look through! Now that I am a couple of years into my thirties, I thought that this would be an interesting read, which it was. I love the reminders to make your day meaningful, staying committed to your marriage (the myths on marriage were eye opening! ), and being a well behaved parent. No matter what your walk is in life, there is something for you in this book. The questions about dreams and work are excellent! I received this book from Moody Publishers in exchange for my honest review. The first time I attempted to read a classic as a young teen, I kept a running list of words to look up and figure out the meaning of, since I was having a hard time following the story line. ;) Here are a few words that are just fun to use that where more common in the classics. "It would vex me, indeed, to see you again the dupe of Miss Bingley's pretended regard." They attacked him in various ways--with barefaced questions, ingenious suppositions, and distant surmises; but he eluded the skill of them all, and they were at last obliged to accept the second-hand intelligence of their neighbour, Lady Lucas. For, though elated by his rank, it did not render him supercilious; on the contrary, he was all attention to everybody. What would I give to hear your strictures on them!" People do not die of little trifling colds. "I find myself very unwell this morning, which, I suppose, is to be imputed to my getting wet through yesterday. My thoughts: This book is an excellent way to look at parenting! I know it's so easy to get caught up in the day to day motions and forget that time is passing quickly, even when it seems like it is going slowly. I love Eryn's thoughts on finding peace with parenting and overcoming fears for the unknown. 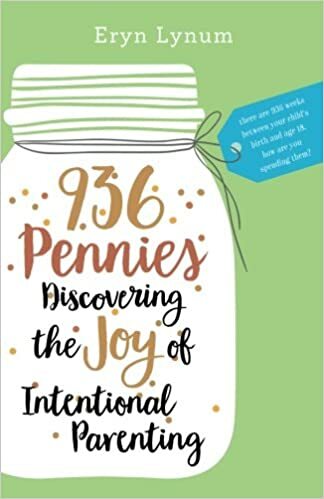 This is an great book to pick up and help parents become more intentional with the time they have with their children. My review: I wasn't sure what to expect when I first picked this book up, but I found it to be a delightful collection of newsy updates on one young woman's journey to a foreign country. I love traveling and would of enjoyed doing something like teaching English overseas, so I had fun reading Amy's insights on adapting to a country very different from her homeland. I loved seeing how she adjusted, seeing how much she did so when her parents came to visit and where surprised by different customs or every day life there. Not only did I enjoy reading the experiences, but I also loved Amy's sense of humor. This is an excellent book about another culture. My thoughts: I was immediately drawn in to this story, though it was with a sense of foreboding, since I knew where it was going and that it would be a hard story to read. Heidi does a wonderful job of tying the past and present together through the stories of Mercy, Nathan Hale's grieving fiancé, Natalie, and Maelynn. I thought it was interesting to not only have the past and the present, but to also have the added story of the Abbott's teenage daughter as she navigates the halls of high school and the aftermath of a school shooting. This book covers some difficult subjects, but Heidi handles them wonderfully. The story will have you thinking long after finishing the last page. My thoughts: I loved the historical detail in this story! Houdini was a favorite of mine to read about when I was a kid, so it was fun to read a bit more about some of the elements I didn't know much about, like his distrust of spiritualist/mystics and how he got started as a kid. It makes me want to pick up another book about just him! This story has so many layers, with the mystery in the 1920's of a man brought "back" from the dead to collapse and die on stage and then the mystery of why Wren wants to keep her real name a secret. I highly recommend this one! My thoughts: This book was so hard to put down! I love how the story is written from Payton and Jillian's point of views. Beth does an excellent job of dealing with some hard subjects, like how the family had dealt (or not dealt) with the death of Pepper 10 years prior and how they react to the news of Jillian's health scare. This book hit home for me. I enjoyed getting to know the sisters and look forward to reading more about them in the next book! My thoughts: I love how this Bible study is set up, going 5 days a week for 8 weeks, and the topic. The subject of "I AM" in the Bible came up in a sermon a while back, and I loved the opportunity to dig in even deeper with this book. I love how Becky uses scripture verses and reflection time, along with music and even some artistic creativity to speak to readers from all walks of life. I highly recommend this study! My thoughts: This book is a fun way to look at the wisdom of John Wooden and the influence that he had with younger generations through summer basketball camps. The book is easy to get through as it covers the six fundamentals, things like following instructions, being organized, and teaching wisdom. Not only is this book a great one for basketball fans, but the insight is applicable for all walks of life.